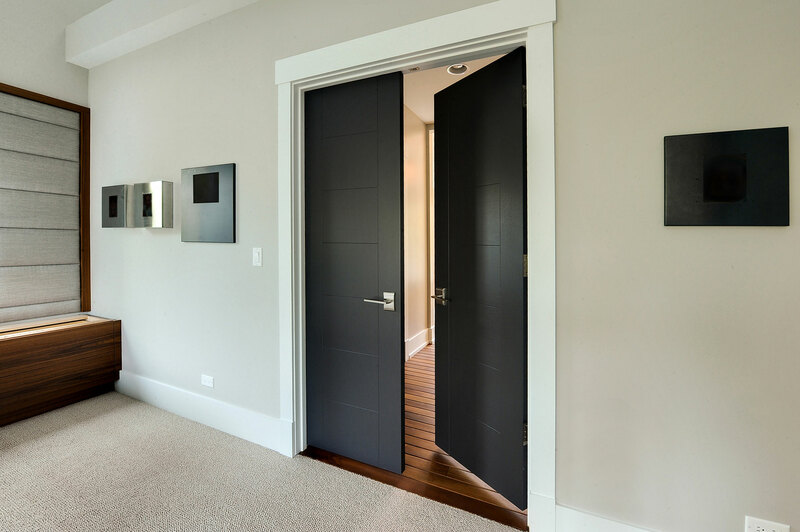 Our collection of modern interior doors are made in Europe and deliver superior performance due to the latest European technology and highest level of designs and quality for interior doors. The Modern Collection interior doors are ideal for homes with Contemporary architecture and Modern architecture. 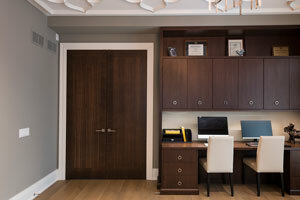 We offer countless customization options ranging from custom veneers like American Walnut Wood, Oak Wood, Wenge Wood, stainless design elements and various glass design which truly make these doors very unique. 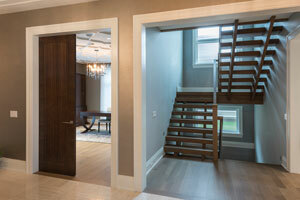 For those who envision the perfect, contemporary home, Glenview Haus offers a vast collection of Modern Interior Doors. 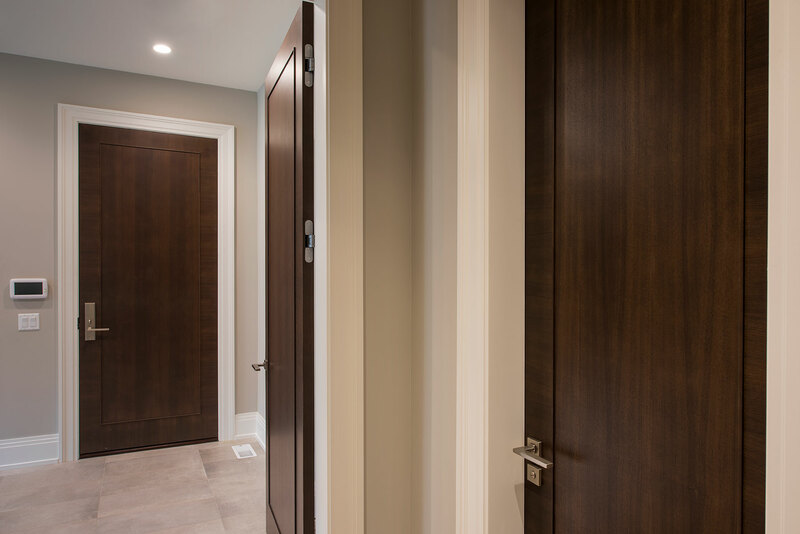 Our modern interior wood doors feature strong, horizontal lines and geometrical designs that work together to create an unmistakable and artistic effect. 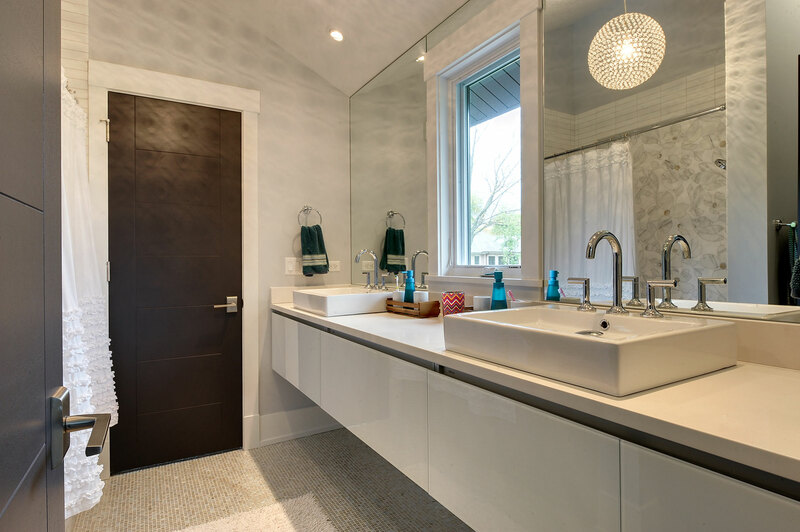 This collection flaunts trendsetting looks and styles that are sure to create the perfect modern or contemporary atmosphere in your home. Our interior doors are designed so that the doors inside of your home are as beautiful as the front entry door. 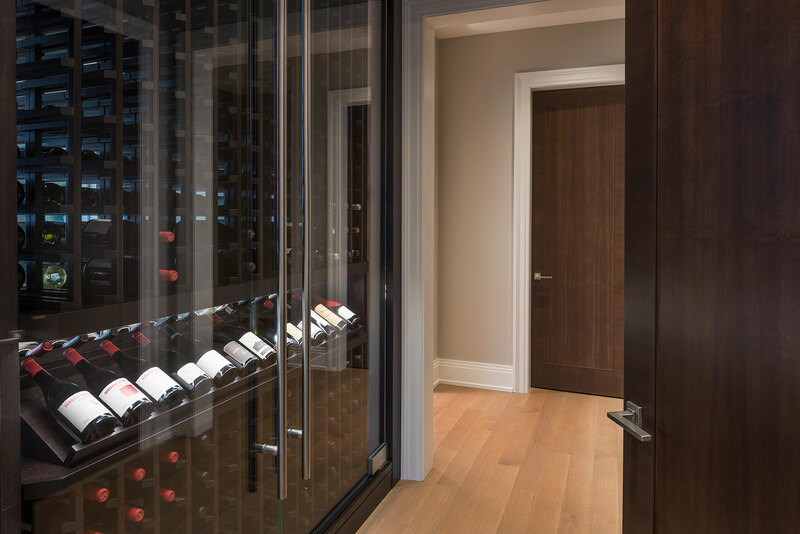 For clients wanting to add more of their own personality to their door, Glenview Haus offers countless options for customization. 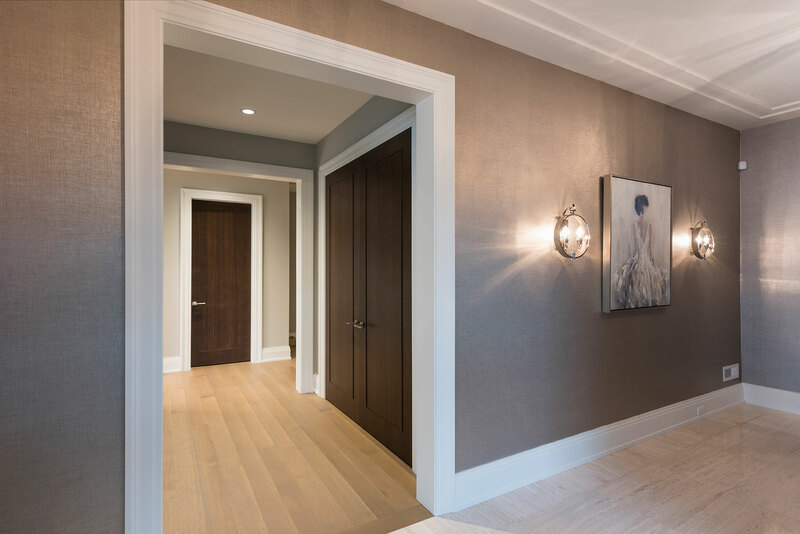 With a variety of wooden veneers, including American Walnut and Wenge Wood, and distinctive stainless steel and glass details to choose from, clients can design their modern front door to fit their vision. 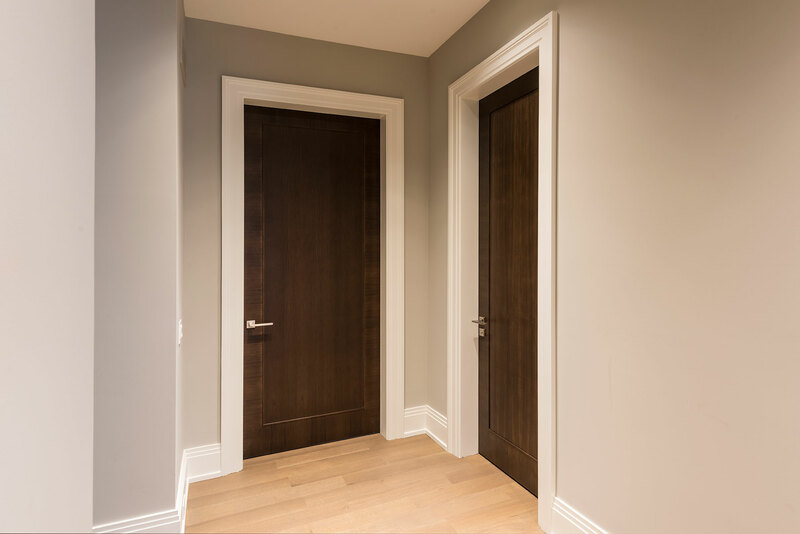 The natural elements of the woodgrain complement the sleek and clean designs of these doors that will give your house the style you are looking for. Whether you want a flush door or a simple paneled door, the Modern Interior Door Collection will be a perfect fit. Glenview Haus’ Modern Interior Door Collection are certain to fit the home’s modern or contemporary architecture. 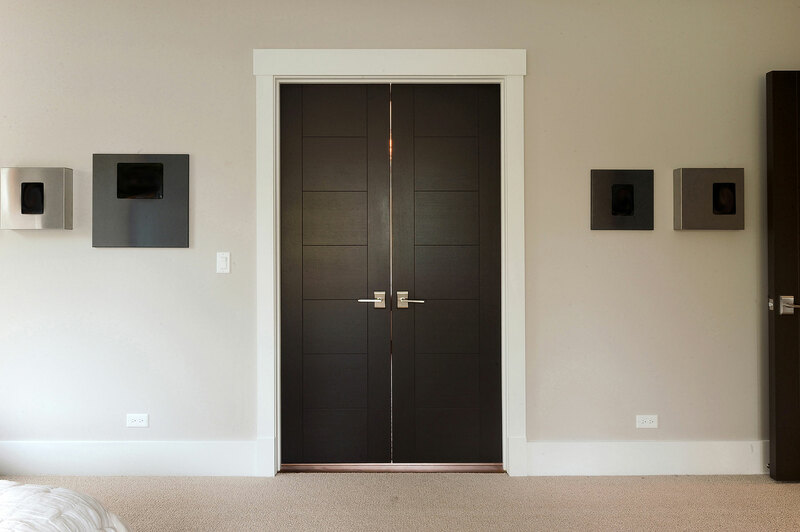 Along with standard pre-hanging options, we offer units as complete systems with true rabbeted jambs, a rubber strip for soft closure and better sound insulation, and matching casing as well. 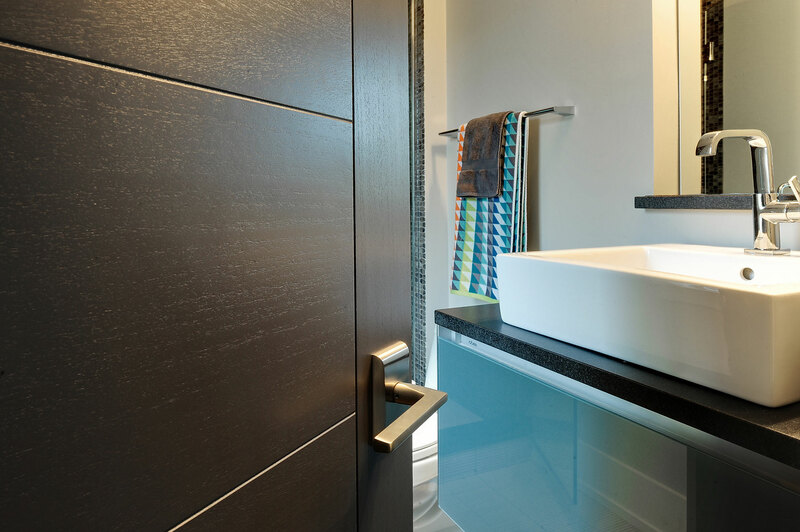 High end concealed hinges are available for a very clean look along with magnetic locking mechanisms that add innovative function. Our Modern Collection of interior doors are engineered in two ways to ensure ultimate durability. The first method of engineering delivers superior performance through the use of the latest European technology that incorporates the door sandwich design. 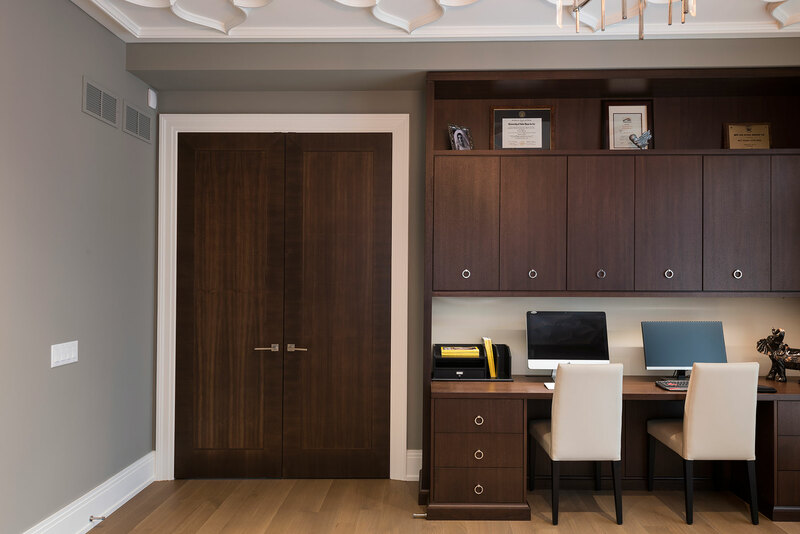 This means that furniture-grade wooden veneers cover a natural wood fiber core but still contain a solid wood stile and rail. Glenview Haus also offers completely solid wood interior doors. 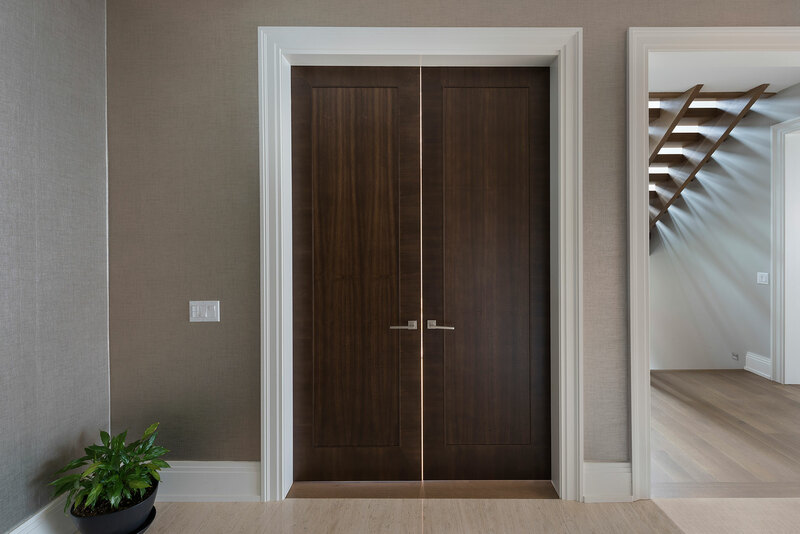 The premium grade component of these doors are first kiln dried before craftsmen carefully match grain texture and colors to craft a beautiful wood door. 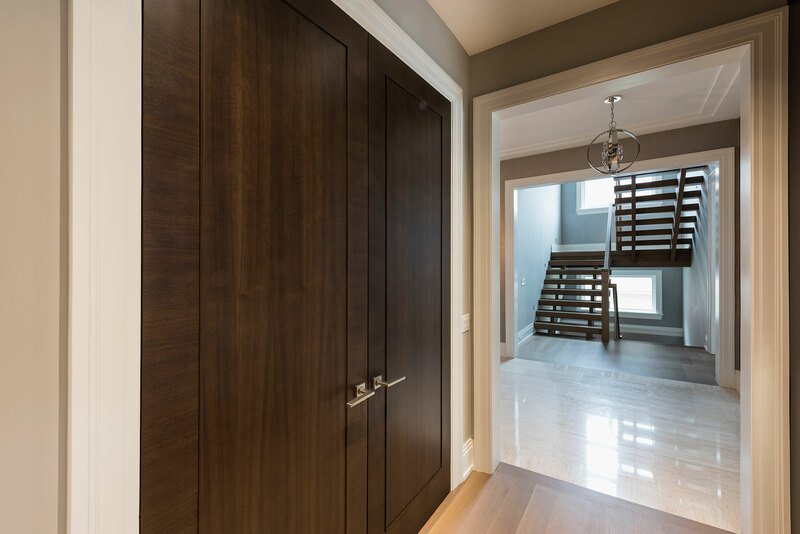 Glenview Haus’ Modern Collection of wooden doors will surpass the expectations of those seeking that strong statement with a modern design.